15 FrobuaryTR 2008 - …and for FM Towns also! 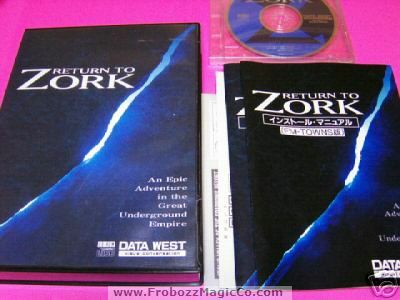 Seems that can't pass a day that I find a new version of Return to Zork. This time is the turn of a personal computer that started as a proprietary PC variant intended for the Japanese market for multimedia applications and computer games, but later became more compatible with regular PCs.